So we write the SoftwareI2C library to use digit port and analog port to enable multiple same I2C addresses devices work on Arduino. Please follow how to install an arduino library procedures to install library. 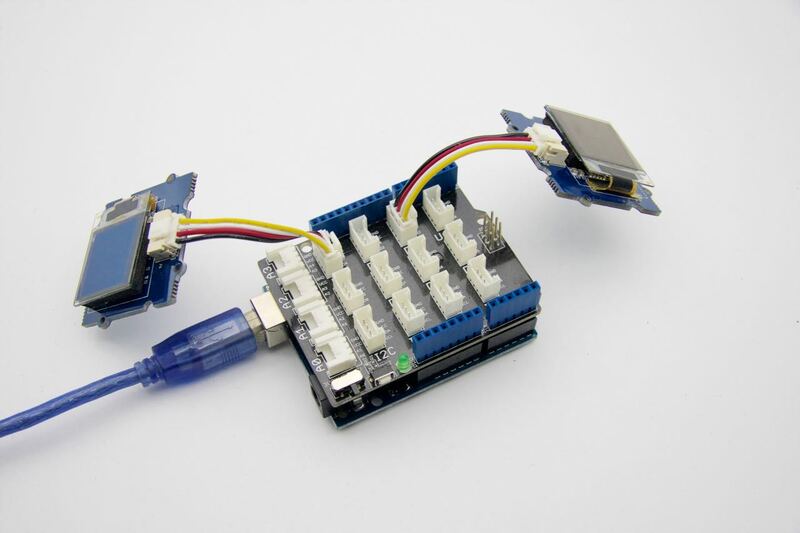 We provide an Arduino Library for SoftwareI2C, click on here to download it. 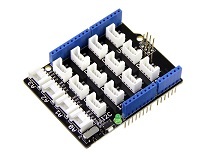 This is an easy-to-use module, what you need to do is connect the module to D2 port of a Base Shield. If you don't have the base shield, please follow below connection. 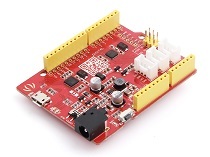 Open the code directly by the path: File -> Example ->Arduino_Software_I2C-master->SoftwareI2C_Scan. Please configure serial port baud rate as 115200. We can see I2C address from serial port. 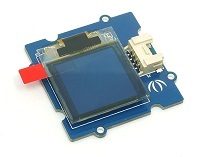 Connect one Grove - OLED Display 1.12 to D2 port and other to D4 port. Click on here to download Grove-OLED-Display-1.12 library. Step2: Add initSoftwareI2C function, we have to change the class name for different products. Step3: Replace all Wire. to Wire-> For example, change Wire.endTransmission() to Wire->endTransmission(). 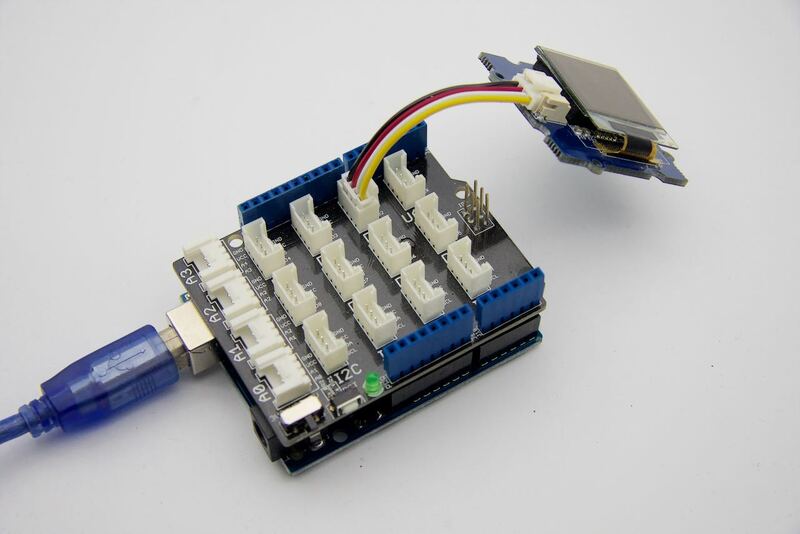 Open the code directly by the path: File -> Example ->Arduino_Software_I2C-master->OLED_Display. We have to define SoftwareI2C objects as well as SeeedGrayOLED objects. - We use initSoftwareI2C instead of Wire.begin during setup. SeeedGrayOled1.setGrayLevel(i); //Set Grayscale level. Any number between 0 - 15. SeeedGrayOled2.setGrayLevel(i); //Set Grayscale level. Any number between 0 - 15. - Upload to Sketch. - We will see 11111111 display on one screen while 00000000 is on other. begin() function: SoftwareI2C.begin() must first be called to start any software I2C communication using the SoftwareI2C library. beginTransmission function: Used when the ATmega is acting as an I2C master. Sets internal variables in the SoftwareI2C library in preparation for transmitting to the given address. endTransmission() function: end for transmitting to the given address. - write function: Populate the send data buffer with the data found in the argument list. there are 2 functions. One is sending a byte and other is array. read function: Returns the byte in receive buffer.